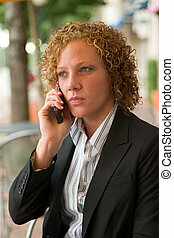 Business woman in the city 11. 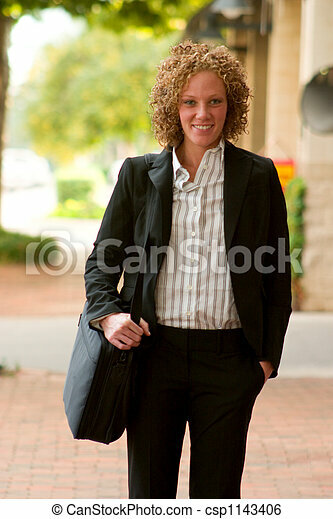 Smiling business woman carrying a briefcase strolling down a city sidewalk. 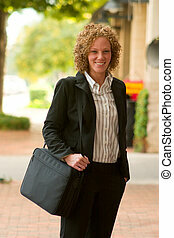 Smiling business woman carrying a briefcase strolling down a city sidewalk. 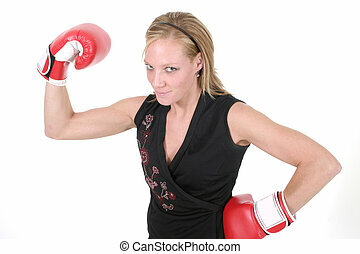 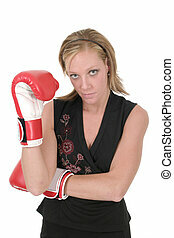 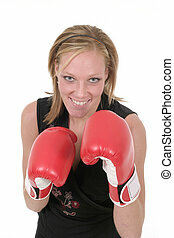 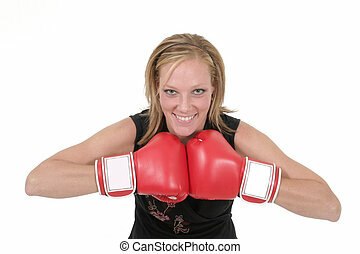 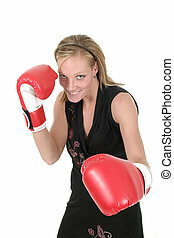 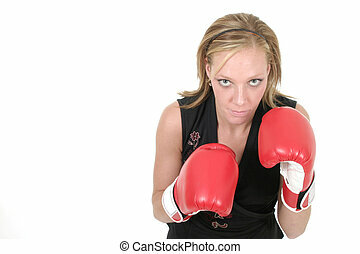 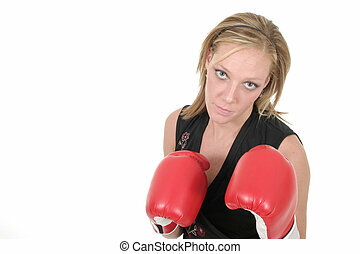 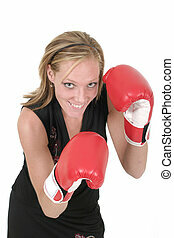 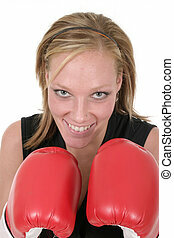 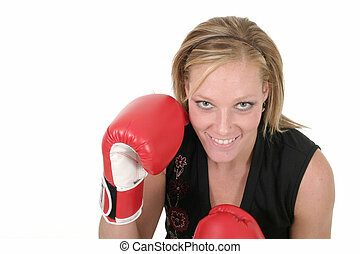 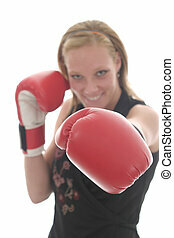 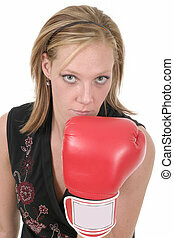 Attractive blonde executive business woman puts on the boxing gloves to do battle in the corporate world. 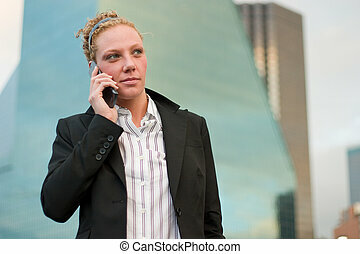 Young business woman talking on a cellphone in front of city skyscrapers. 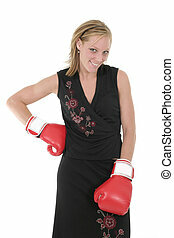 Attractive blonde executive business woman puts on the boxing gloves to do battle in the corporate world. 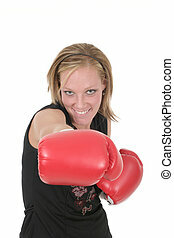 Focus is on the extended boxing glove. 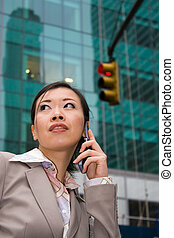 Serious business woman relaxing on the sidewalk while discussing business on a cellphone. 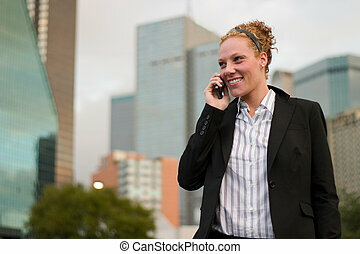 Smiling business woman relaxing on the sidewalk while discussing business on a cellphone. 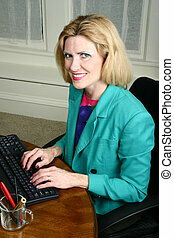 Beautiful middle aged executive business woman smiling and typing on her computer keyboard in the office. 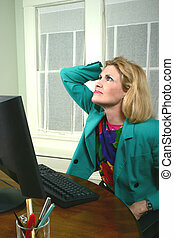 Beautiful middle aged executive business woman with her hand on her head thinking at a computer in the office. 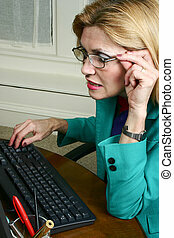 Beautiful middle aged executive business woman wearing eyeglasses looking at a computer in the office. 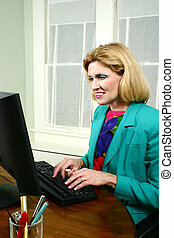 Beautiful middle aged executive business woman, with lips pursed, stares at her computer in the office. 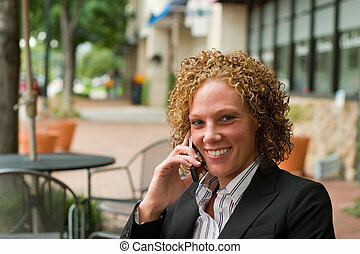 Beautiful middle aged executive business woman typing and smiling while working at a computer in the office. 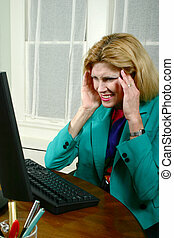 Beautiful middle aged executive business woman getting a headache from working at a computer in the office. 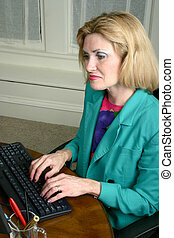 Beautiful middle aged executive business woman with a serious expression typing at a computer in the office. 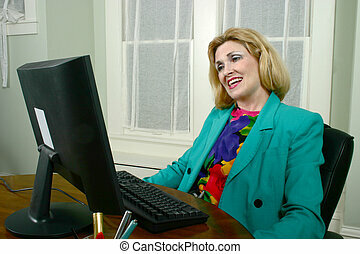 Beautiful middle aged executive business woman sitting back in her chair with an expression of approval while looking at a computer in the office. 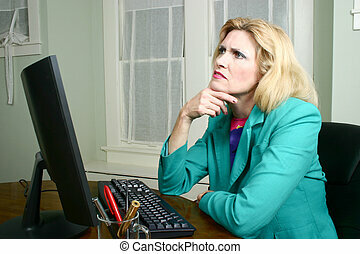 Beautiful middle aged executive business woman thinking and looking at a computer in the office. 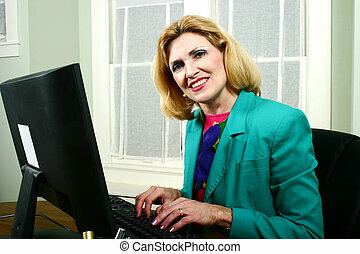 Beautiful middle aged executive business woman smiling and typing on computer in the office. 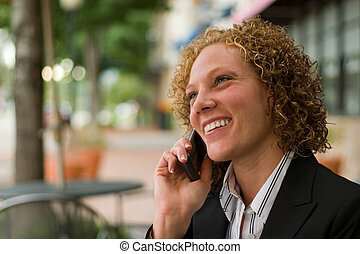 Beautiful middle aged executive business woman looking off-camera and laughing and smiling at a co-worker neighbor while typing on a computer in the office. 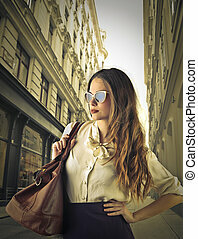 Serious business woman carrying a briefcase strolling down a city sidewalk. 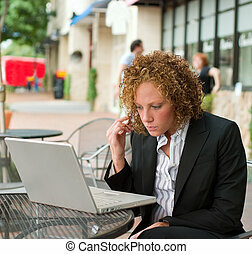 Young business woman deep in thought sitting in a chair on a city sidewalk looking at a laptop computer screen. 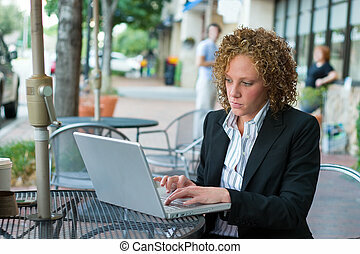 Smiling young business woman working on a laptop computer at a sidewalk cafe. 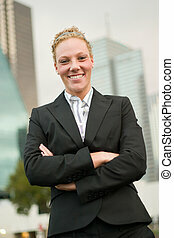 Smiling young business woman in front of city skyscrapers. 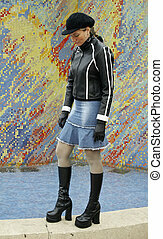 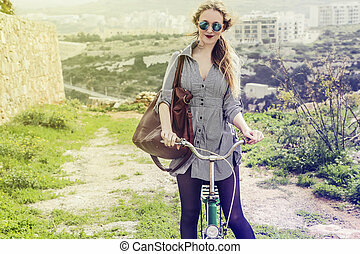 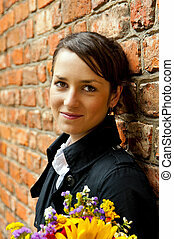 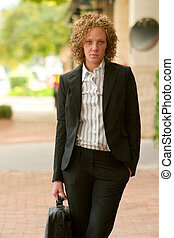 Young business woman strolling along a sidewalk in an urban area. 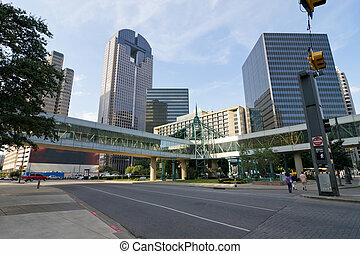 Unusually quiet and vacant intersection in a downtown district of the city.